good morning, everyone! 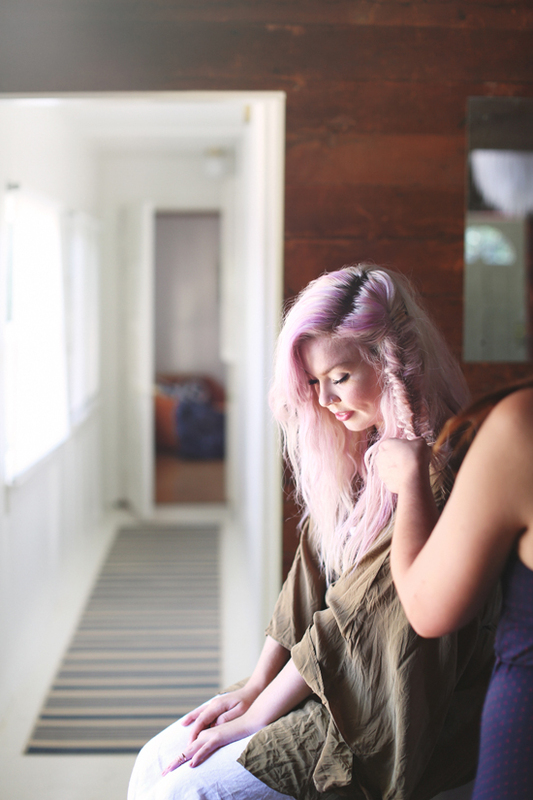 today we are going to be talking about hair and how to get that textured look. i have naturally wavy hair, but here are a few ways you can add some interest to an everyday look. 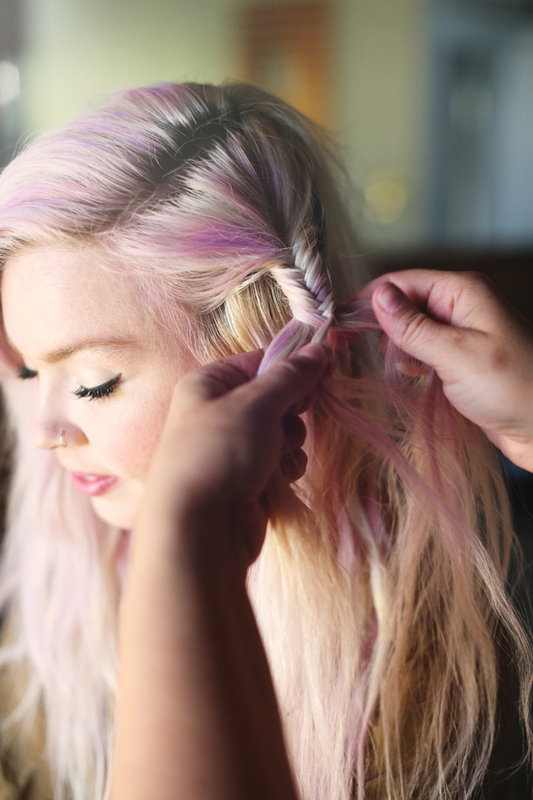 purple chalk, a little dry shampoo, and a fishtail braid…check it out! 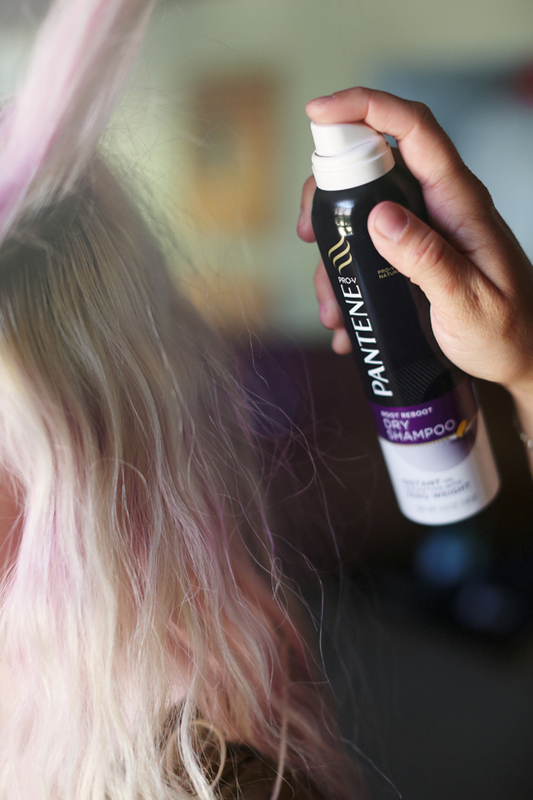 • spray a little Root Reboot Dry Shampoo to the roots of unwashed naturally textured hair to give it a little lift. • select a section of hair to fishtail braid & braid section. • lightly spray a little Root Reboot to the entire braid. 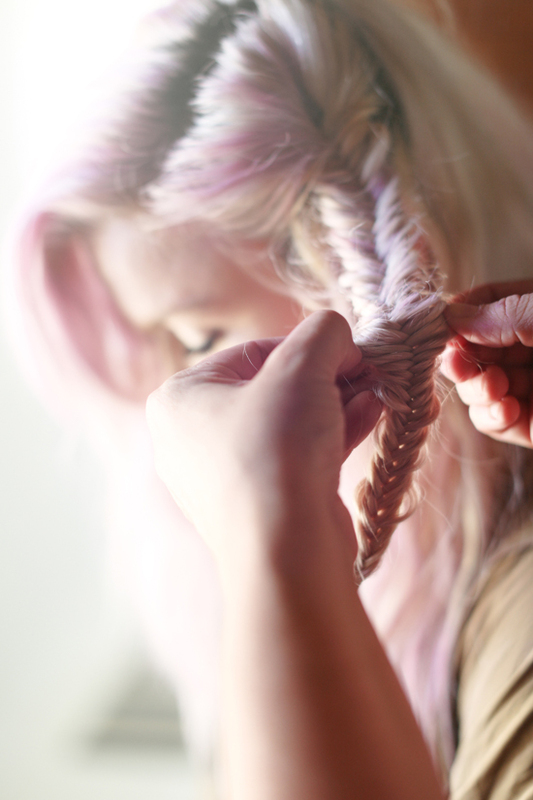 • work braid with fingers to pull apart and give the braid a textured look. you can add in as many braids as you wish to create your own look! p.s. if you’re wondering about the purple hair we used ulta color chalk! Beautiful! I’m growing my hair out right now (from shaved!) and I’m going to put these pictures up to help me keep my resolve through the awkward mid-length phase. blog and keep checking for new details about once a week. Love it! Your hair looks great with the hair chalk! looove it, and also the color! i need to get me some chalk. Love the look. Also, really love the location. 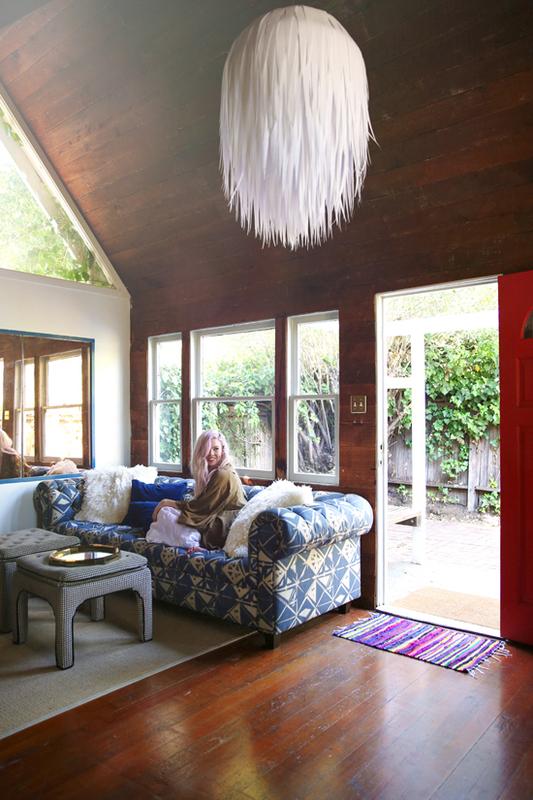 Really pretty place and that light fixture is awesome. your hair is insanely gorgeous! i don’t even understand it! ha! 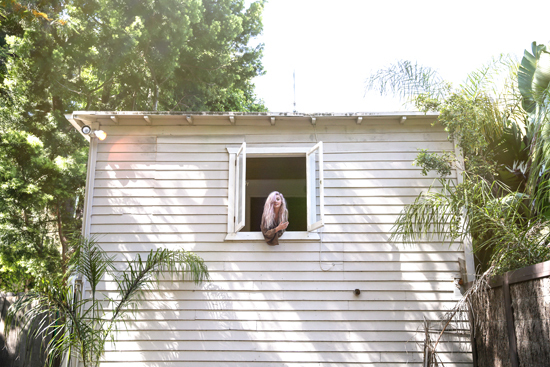 The picture of you in the window is absolutely stunning. Almost magical. Thanks for spending the time everyday to write your blog. It’s one of the first things I check every morning. I love starting my day with a little DLF creativity. wow i actually already have all the ingredients for this diy! except chalk. i wonder what color would pair well with brunette hair. the purple looks so awesome on you!! Ah you look so boho glam! My hair is a bit short for the fishtail bit, but everything else i need to try out. Save us, Obi-Wan Kenobi. You’re our only hope! Love the fishtail braid and the placement of it. 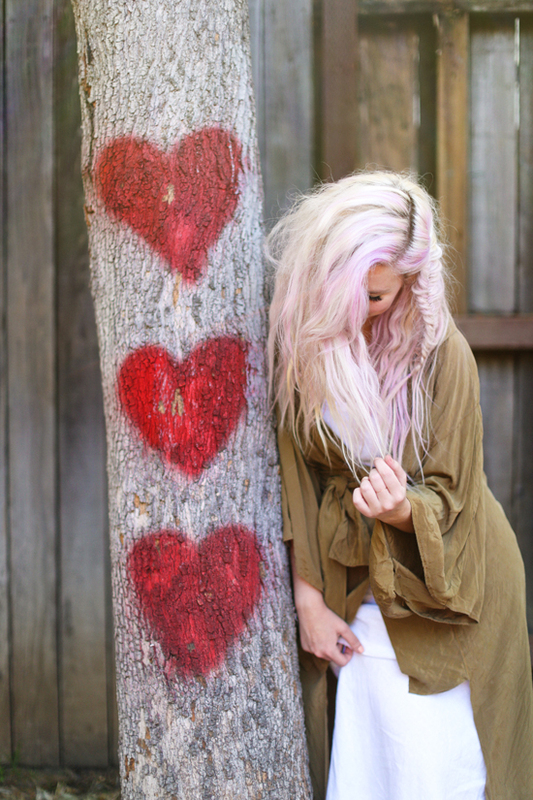 Light pink and blonde color together looks amazing! I love this hairstyle! So cute! I’d give ANYTHING to have hair like yours Bri! So gorgeous! And such lovely photos. I wonder if the chalk works on dark hair too? Ah I wish I had wavy hair. I have what I like to call lumpy hair or really the term is caulicky hair. Not straight, not curly, not wavy which is loose semi uniform waves that fall away from the head (like yours does) I have lumpy uneven waves that cling to my head. I use to have thick lumpy hair, now that I am not in my 20s I have thin lumpy hair. Oh joy! But wowzie this looks awesome on you! So laid back, I love it! Every time I try to do the whole messy-pretty thing with my hair, even with dry shampoo and hairspray, it always ends up flat within the hour -_- What do you do to keep the volume? Wow, love the texture. I have recently started to grow out my hair to the longest it has ever been in my life and I’ve been concerned with styling options. This is great, thanks for the idea! I love this Blog and your work! Where is that kimono from? gosh! Your hair is amaaazing!! thanks everyone!! i wish my hair was still purple. might have to do it for real! Love this! Dry shampoo is such a miracle worker! I loooooove this on you!! 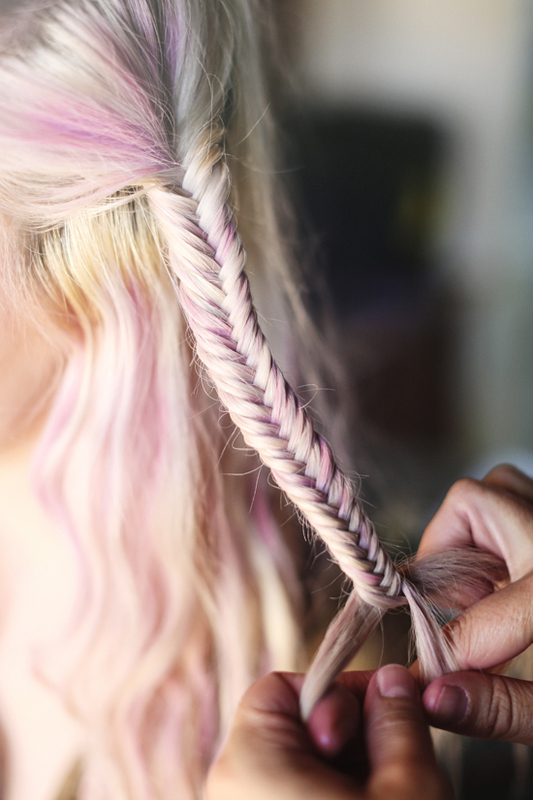 I don’t think I can pull off the lavender hair, but I’m obsessed with fishtails. really great, I can do that.